Exercise . . . no thank you? Exercise has the potential to prevent chronic disease, improve the health of someone with a chronic disease and help reduce the risk of additional chronic diseases. Regrettably, we know that 47 percent of adults with disabilities who are able to do aerobic physical activity don’t do so. Exercise . . . some of us do “it” diligently, other don’t want to hear about “it” let alone talk about “it” or think about “it” . . . Yet we all know “it’s” (exercise) important. Consider that modern science and decades of research have consistently proven unequivocally that every human being on the face of the planet is better off if we exercise on a consistent basis. Our minds, our psyche, our hearts and most parts of our bodies will be benefited if we can build exercise in one form or another into our daily routines. Yet if exercise is so beneficial, why do so many of us avoid “it” day after day, year after year, until we have that first heart attack much sooner than was necessary? If you’re not exercising, regardless of whether you’ve always been healthy or have a disability; exercise can and should be part of your daily activities. Some people acquire a disabled in a single moment, an auto accident at 60 miles an hour, or a massive heart attack in the middle of the night. Our lives are changed irreversibly and our world as we knew it will never ever be the same again. For people that have a disability, dealing with the physical and emotional issues can be likened to “walking into a wall”. If you are a person without a disability at some point in your life many of us will acquire a disability. This certainly includes America’s 40+ million seniors that are going through the aging process. Exercise, I call it The Battle of the Ages. Consider why we are compelled to connect the ever increasing need to exercise with the aging process. I’m reminded of the movie The Perfect Storm. The weather reports were reporting a cold front coming down off the Canadian Shield, a hurricane off Bermuda and a storm brewing over the Great Lakes; all heading for the Grand Banks. At the same time, another storm brewing at sea reversed its expected path and began to converge on the hurricane. Meteorologists began to witness the absolute “perfect” conditions for what became known as The Perfect Storm. It’s a known fact that Father Time is very real. The actuarial tables clearly establish that as we age, there’s an ever increasing risk of acquiring a disability. And in all likelihood, a minimal impairments may get worse. At the same time, the risk of a secondary health condition may also develop. The biggest single threat to the future health of people with disabilities is not the disability but inactivity. Studies show that decades ago the prescribed treatment for most disabilities was lowered activity. We now know that inactivity causes arteries to narrow and increased cholesterol, thereby increasing the risk of a heart attack. The enjoyment of a new exercise program can result in a greater sense of well-being. Your increased activity can lead to a greater level of enthusiasm and pride in reaching new goals. Stress and isolation should diminish as well. The next step is up to you. If you’re starting a new exercise program, we suggest you visit www.cdc.gov/physicalactivityguidelines. 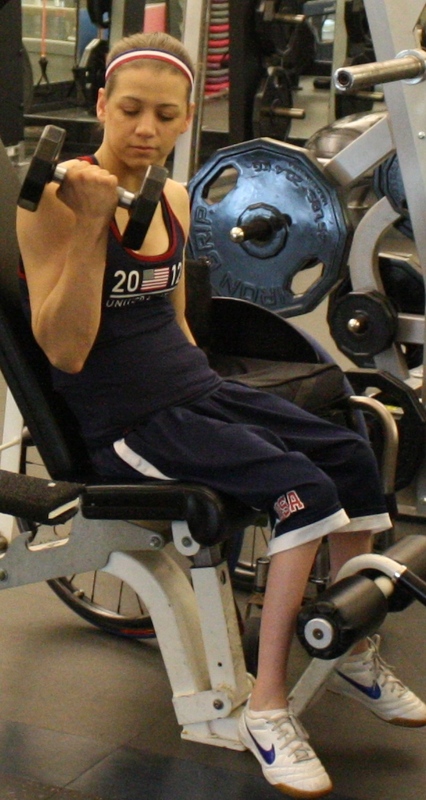 If you are a person with a disability visit www.nchpad.org ‘Exercise Guidelines for People with Disabilities’. Allan Checkoway, RHU most recently authored “I’m Disabled . . . Now What?” , created for people whose lives have been impacted by changes in their overall health. Fortunately, our decades of experiences in working with people who have become disabled, sometimes ending up in long term care situations has given us a unique perspective that can benefit our readers. We’ve taken what we believe to be all the best up to date accessABLE resources from a multitude of resources, putting them all together in one place in “I’m Disabled . . . Now What?”. Allan is presently the Principal of Disability Services Group, an Employee Benefit Advisory firm. Allan’s address is 661 Highland Ave. Suite 103, Needham, MA 02494, tel: 781.400.5055; email: allan@disabilityservices.com. Anytime is always a good time to exercise. Thanks for the tips.